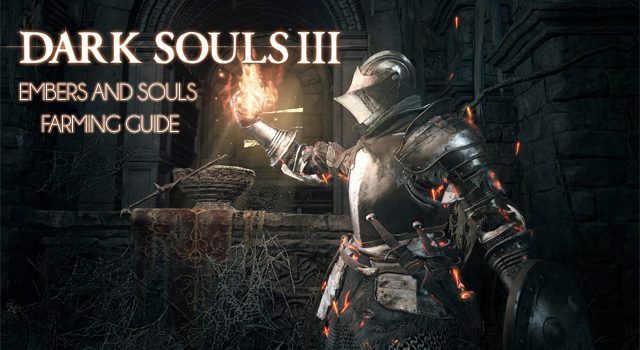 Whether you’re new to Dark Souls or a seasoned veteran, you should appreciate how important both Embers and Souls are to your experience, and that’s where our Dark Souls 3 Embers And Souls Farming Guide comes in! Embers are incredibly important because they have a number of very useful powers. For one, they have the ability to grant significant boosts to your HP gauge. They can also be used to summon other players or NPCs to help with a boss battle. 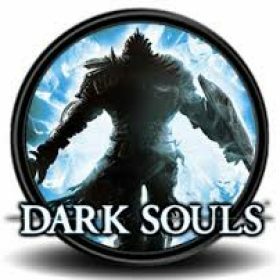 Souls are basically the game’s currency, used to level up your character and purchase items from vendors. Because of their importance, it’s good to know how they can easily be attained and farmed during your experience. You should always try to spend time searching and farming them, and stock up as many as you can. Embers shouldn’t be used lightly, and are great to use just before boss battles when NPCs congregate outside the battle arena. You can purchase Embers from The Shrine Handmaid, Greirat and Unbreakable Patches, but they stock them in limited numbers. Further to this, once they run out it doesn’t seem like they ever restock, so for that reason you should turn to these shops only in a case of absolute necessity. If you absolutely need one and don’t have the capacity to team up with someone for whatever reason, these shops will help you out. Again, these should be a last resort. It’s certainly the easiest way to get Embers, but with that comes limited inventory. This method should be seen as sort of a last resort stockpile. If Dark Souls III is your first Dark Souls game, be sure to check out our beginner’s guide to help you choose the right beginning class. Unfortunately, the class most accessible to newcomers — Knight — has a very low “Luck” stat, which means enemies drop fewer rare items like Embers. You could lean towards Warrior, which is a good starting class and has a Luck stat of 11. If you have the experience, then Thief or Cleric with a luck stat of 14 and 13 respectively makes enemy farming a great way to find Embers. Now, there’s no surefire way to ensure enemies drop Embers: it’s a flip of the coin. Having a higher Luck stat is helpful, but isn’t a surety. Ideally, you could take down the Lothric Knights in the High Wall of Lothric, which drop Embers at a fairly high rate. There’s a great way to farm Embers by playing co-op with another player. You’ll need to battle a boss with another player, and while it can be done against a boss you haven’t already defeated, it’s recommended that you do this with a boss you have already taken down. First thing’s first: buy a White Sign Soapstone from the Firelink Shrine. Then head to a boss you’ve defeated via the nearby bonfire and use the White Sign Soapstone so that a player can summon you. Once you complete a boss with another player, you’ll earn yourself an active Ember (if you didn’t already have one active) as well as an additional Ember in your inventory. You can also farm Souls using this method, although the reward isn’t very high unless you’re tackling bosses later in the game. If your goal is to farm Embers, you could just farm earlier bosses, but if you’re after Souls, you should look at replaying later boss battles. You can use this method against bosses you haven’t defeated, but remember that you won’t have a bonfire lit nearby, which means you’ll have to fight your way through enemies to get there.